On a bloodstained mattress in a grimy flat, a burly man lies dead. A terrified girl kneels over his body. She has been trapped here for three days. 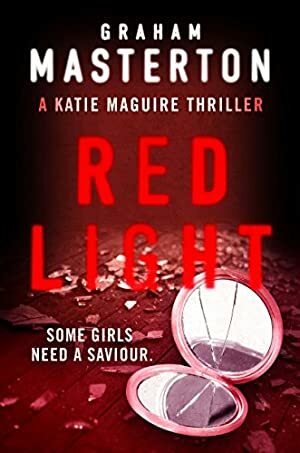 It doesn't take DS Katie Maguire long to identify the murder victim: he's a cruel and powerful pimp she's been trying to convict for years. It's Katie's job to catch the killer. But with men like this dead, the city is safer - and so are the frightened young women who are trafficked into Cork. When a second pimp is horrifically murdered, Katie must decide. Should she do her job, or follow her conscience? Should she allow the killer to strike again? We started tracking this book on May 7, 2014. The price of this book has changed 151 times in the past 1,807 days. The current price of this book is £2.80 last checked 3 hours ago. This lowest price this book has been offered at in the past six months is £1.89. The lowest price to date was £0.59 last reached on August 19, 2014. The highest price to date was £6.86 last reached on May 7, 2014. This book has been £6.86 one time since we started tracking it. We last verified the price of this book about 3 hours ago. At that time, the price was £2.80. This price is subject to change. The price displayed on the Amazon.co.uk website at the time of purchase is the price you will pay for this book. Please confirm the price before making any purchases.